As a young girl who had a little too much "freedom," my step-father was intent on finding an environment that would create more structure for me. My mother had done her best after raising me single-handedly for a few years to implement discipline. After changing schools every year between kindergarden and third grade, I have to admit I was a bit of a lost child. My step-father was convinced that parochial schools would offer the structure I so desperately needed. That was one of the wisest decisions my parents ever made. Upon entering parochial schools, I found the structure, attention and accountability I had been searching for. I began taking piano lessons, I started excelling at writing and English, and I felt cocooned within a system that genuinely cared about my well-being and academic progress. 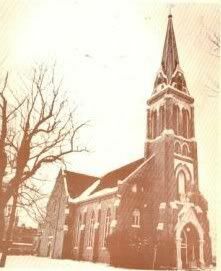 One of the many aspects of growing up in parochial schools was the regular attendance at Mass. Very few children enjoy going to church and I was no exception. However, during the hundreds of services I attended, I found a certain comfort in the ritual, pomp and circumstance of the whole ordeal. You see, Mass was a fiber of the cocoon that enfolded me during what could have been very tumultuous years. The scents I encountered in St. Agnes Church will stay with me for the rest of my life. Burning candles, lillies at Easter time, pine needles at Christmas - and the most glorious of all scents - frankincense for especially important holidays. According to Catholic tradition, frankincense represents the continuity of faith between the Old and New Testaments of the Bible. Olivier Durbano Rock Crystal instantly transports me to the old (since destroyed) St. Agnes Parish, the beautiful architectural structure that housed my slow spiritual progression as a young woman/child. I recall various events, including my first confession in which I literally had to make up something to confess, singing Christmas carols with the choir as Sister Margaret Sienna played the organ, and trying to prevent myself from laughing out loud (lest I get pulled out of church by my ear) after I clumsily fell and missed the kneeler. They were formative years indeed and they taught me self-restraint, poise and politeness at all costs. So, let's talk about this gem of a fragrance. It is deep, resinous, heavy, woodsy and rich. It begins with a note that reminds me of pine needles and gradually gives way to the plenteous frankincense. It is no doubt a church-y fragrance. However, it lacks overwhelming strength, and in this case I am not disappointed. I cannot wear other fragrances in the same category such as Donna Karan Black Cashmere or L'Artisan Passage D'Enfer, simply because I detect an inordinate amount of incense from which I recoil. They also overwhelm me with their concentration. Rock Crystal, on the other hand, is subtly rich and woodsy. It contains many notes, including orange, pepper, coriander, cardamom, cumin, cistus, sandalwood, cedar, vetiver, everlasting flower, oakmoss and musk. Their combination creates a highly resinous, benzoin fragrance. The frankincense pronounces itself with a deep sniff of the skin, but it does not surround the wearer with a cloud of smoke, like the puffs of frankincense I would avoid as a child. It is akin to deeply inter-woven brocade frabric, that looks nice from afar but must be inspected closely to detect its subtle nuances. In fact, if this fragrance could be characterized by a fabric, it would be dark plum brocade: ornate, expensive, subtle and luxurious. The frankincense slowly gives way to a musky, slightly sweet dry down that leaves me wanting to reapply and begin the experience all over again. I am grateful to have found a fragrance that so instantly transports me to the influential, parochial days of my youth. And yet, I know this fragrance may not appeal to a mass market. But for those who enjoy incense-y and woodsy fragrances, yet are looking for something less pronounced than others in the same category, it will be a welcome alternative. 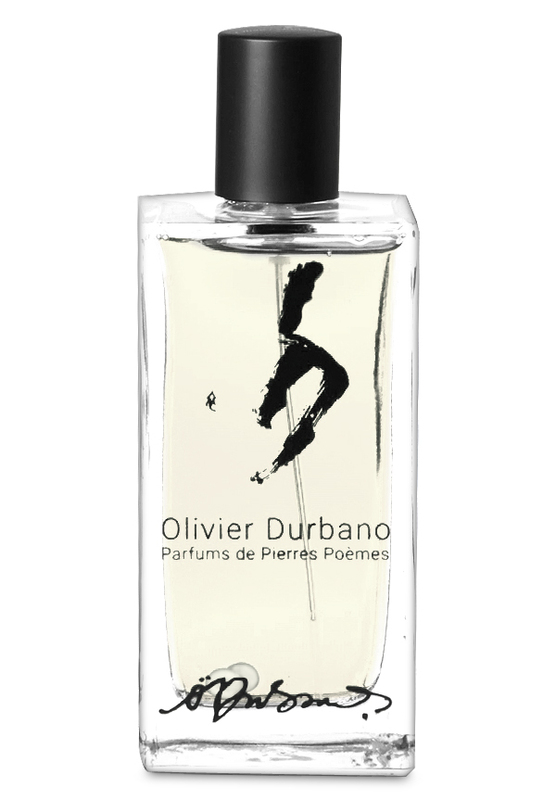 Olivier Durbano Rock Crystal can be purchased at www. luckyscent.com. A 100mL bottle retails for $105. Great review sweetheart...I can hear the organs playing in the background! I loved the intro and it definitely puts the scent in context to your personal experience. Wonderful writing! This is one scent that literally transported me back in time. The words just flowed out of me. Have a wonderful weekend and thank you for your compliments!